Of the more than 1,200 lounges that Platinum cardholders can access, the best are AmEx’s own Centurion Lounges. AmEx has announced two new Centurion Lounges — one in London Heathrow, and one in Charlotte. The two new lounges are part of a larger trend that’s been evident in 2017 and 2018, as Amex has pushed to improve benefits for Platinum cardholders, an effort to set the premium card apart from the competition. The first new lounge will open at London’s Heathrow airport (LHR) in 2019. Located in Terminal 3, which services flights to the US on a number of carriers including Delta, American, and Virgin Atlantic, the lounge will be around 7,000 square feet. It will feature similar amenities to other Centurion Lounges, including complimentary food and drinks, showers, plenty of seats, and access to Wi-Fi. AmEx Platinum and Centurion (or “Black Amex”) cardholders have access to Centurion Lounges before flights. While the two new lounges will be accessible to cardholders regardless of airline flown — as is the case with all current Centurion Lounges — both should prove particularly useful for those who fly American Airlines. Charlotte is American’s biggest hub aside from Dallas Fort-Worth (which currently has a Centurion Lounge), and London Heathrow is a popular gateway to Europe for American Airlines and Oneworld alliance loyalists — although the London location will also appeal to a larger range of flyers who transit through Heathrow’s Terminal 3. 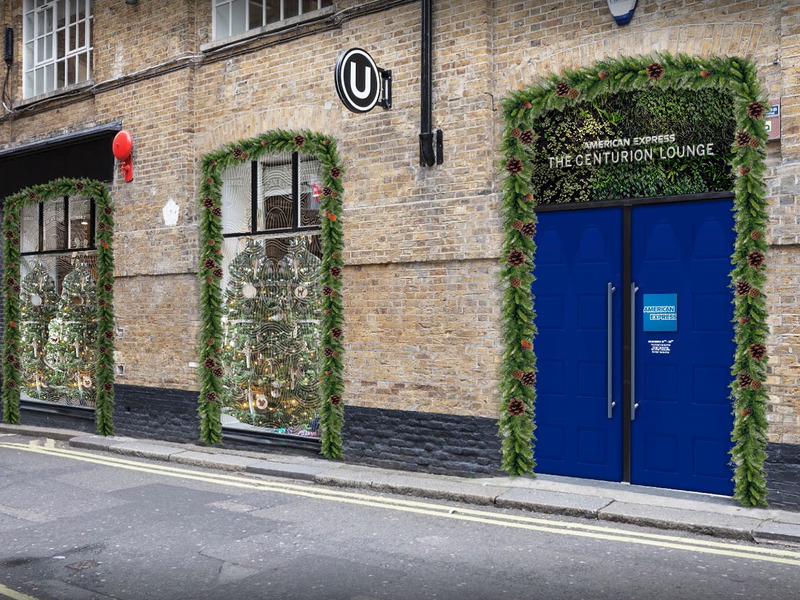 Alongside the announcement, American Express is once again opening the pop-up Centurion Lounge in London’s Covent Garden, at the Unit 6 art gallery on Langley Street. Complimentary snacks, drinks, charging stations, and even gift-wrapping services will be available for Platinum and Centurion cardholders. It will be open from December 13–16. 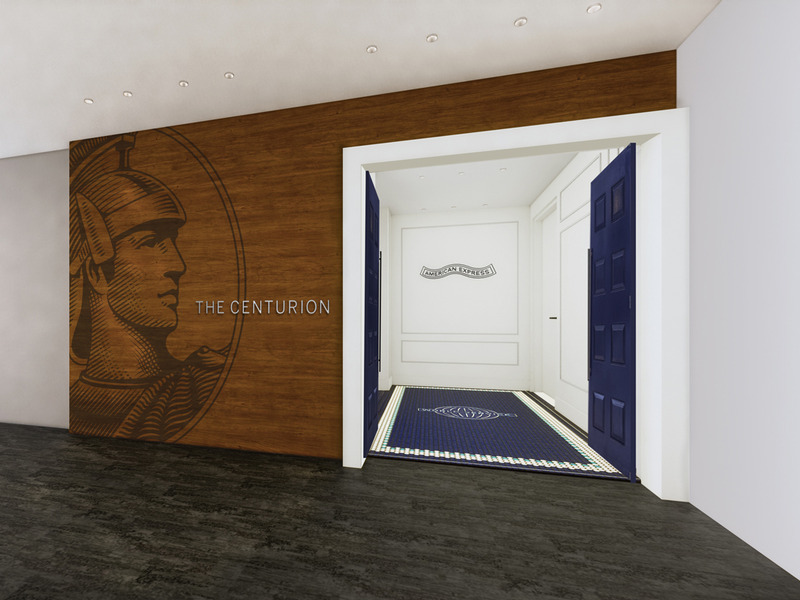 Including London and Charlotte, five new Centurion Lounge openings have been announced this year for openings in 2019 amd 2020 — the others are in New York-JFK, Denver International Airport, and Los Angeles International Airport. Additionally, lounge locations have opened this year in Philadelphia and Hong Kong, and the Dallas-Fort Worth location reopened following a renovation and expansion project. In early 2017, following the release of the Platinum Card’s fiercest competition — the Chase Sapphire Reserve card — AmEx revamped its premium product, adding new benefits like up to $200 per year in Uber credits. This year, up to $100 in annual shopping credits at Saks were added to the list of perks, which joined pre-existing benefits like a $200 annual airline fee credit, complimentary hotel elite status, 5x points on airfare purchased directly from the airline, and more. Despite the card’s $550 annual fee, the various perks and benefits can make it worthwhile for even semi-frequent travelers, who can easily get more than $1,000 in value from the card in any given year — and $2,000 the first year, with the card’s welcome bonus contributing to the overall value. In addition to the Centurion Lounges, American Express operates 11 “International American Express Lounges” at foreign airports including in Mumbai, Delhi, Buenos Aires, Mexico City, Sydney, and, most recently announced, Melbourne. International lounges tend to to vary depending on the market, while Centurion Lounges are designed to offer a relatively consistent experience, according to Cracchiolo.